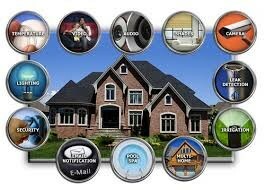 What Is Lacking In Home Automation? A thorough look at the home automation market reveals that the growth rate is somewhat stagnated. The smart home automation technology has a lot of potential, but it’s growing at a slower pace than what was expected. People are expecting an enormous growth in the home automation industry in the next five years, and the truth is that the expectation has never been higher in this industry. But what is lacking in home automation that could possibly hinder its growth? Although there is a considerable amount of marketing activity conducted by the top smart home gadgets, such as those affiliated with hdhtech.com, the general investment in marketing and promotion of home automation is still insufficient. There are people who still see home automation as a a futuristic niche that may forever be reserved for the rich. Tech companies should feel challenged to overcome this barrier. They should put their heads together and reveal the true image of a modern smart home; i.e., an aesthetically pleasing, comfortable and highly functioning home. People will never be comfortable in investing in home automation unless they can have a mental picture of how the automation technology might transform their homes. 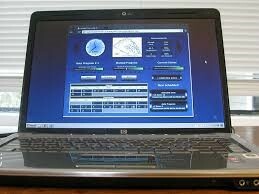 Fragmentation of security systems makes them appear cumbersome to operate. Most people don’t want to be forced to learn new technology or operate several different technologies at once. If different devices in home automation can be combined, more people would be willing to go for the home automation technology. Since network access and cameras are involved in home automation, security is an issue that has to be properly dealt with. There are still loopholes in the safety of home automation gadgets, making a lot of potential customers skeptical of acquiring the technology. Although the cost of home automation technology has significantly reduced in the recent years, it is still too high for the ordinary people. Moreover, some rich people also criticize the cost of acquiring the technology, since they feel that they won’t get value for their money. basauthor	2017-08-10T11:34:47+00:00	August 17th, 2017|Comments Off on What Is Lacking In Home Automation?